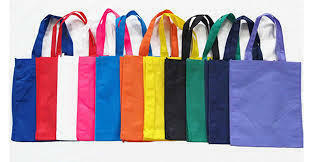 We are engaged in providing a beautiful range of Non Woven Bag. Incorporated in the year 2010, we “Madhav Industries” are a Sole Proprietorship Firm, instrumental in manufacturing a comprehensive range of Non Woven Fabric Rice Bag, Shopping Bag and Office Bag. Under the supervision of our “Amit Patel (Proprietor)”, we have gained huge success in this domain. Located at Rajkot, (Gujarat, India), we have established a huge and robust infrastructural unit.